The tibial and femoral condyles are covered by articular cartilage and are cushioned and supported by the menisci. The menisci are thicker at their edges giving them a wedge like shape. The patellar ligament is formed by the middle portion of the quadriceps femoris tendon. 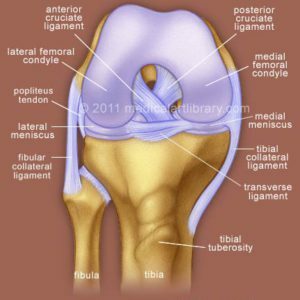 It attaches to the patella and then continues below to attach to the tibial tuberosity. 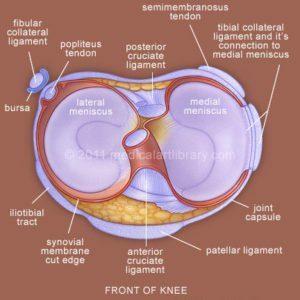 Surrounding the knee are several bursa, which are fluid filled sacs that help prevent friction between structures that move over each other. 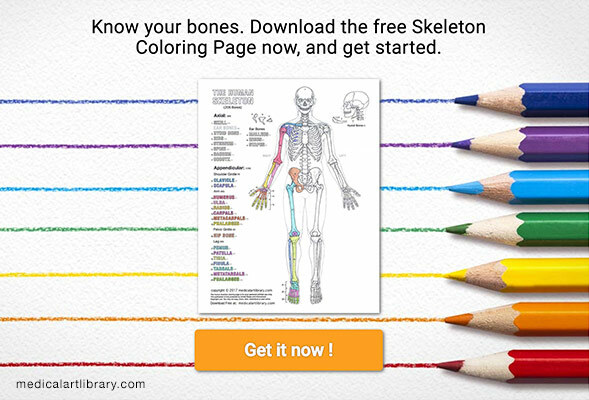 Such as tendons or muscle over bone, or skin over tendons. In this diagram are the prepatellar, the deep and subcutaneous infrapatellar, and the gastrocnemius bursae. An inflammation of a bursa is called bursitis. 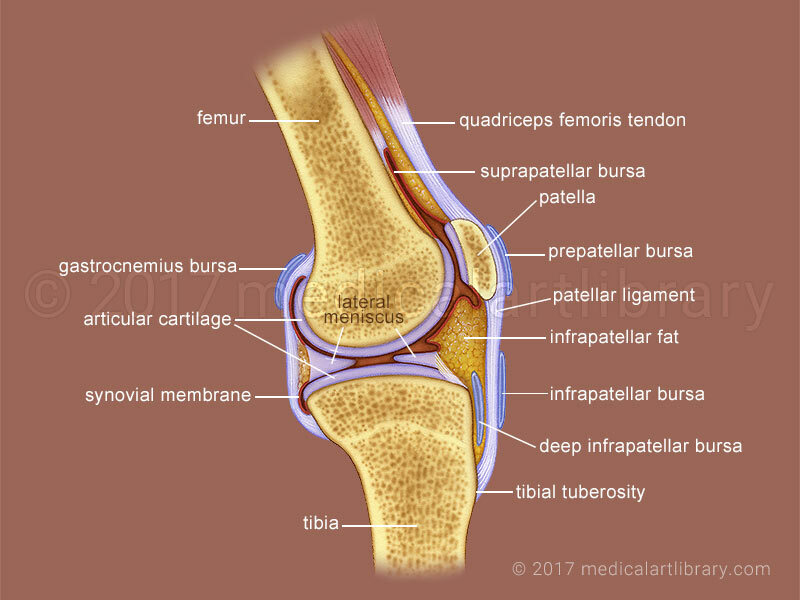 The suprapatellar bursa is not a true bursa, but an extension of the synovial cavity above the patella. The joint cavity is lined by synovial membrane which secretes fluid and helps lubricate the joint.